Since he was a child, Alexei Usikov liked to make things. 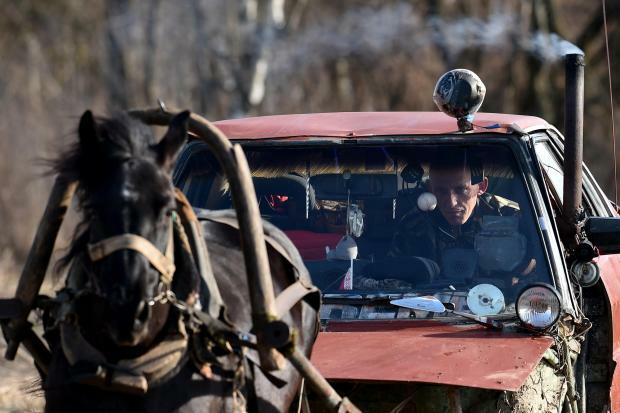 His latest invention is what he proudly calls a "horse-mobile" - a dilapidated red car pulled by a horse that he rides through the Belarusian countryside. "It's more reliable than a car, it won't let you down," the 31-year-old farmer told AFP, flashing a toothless smile. Usikov lives in the tiny village of Knyazhitsy in Belarus's eastern Mogilev region. When a neighbour offered him the remains of his old Audi 80, Usikov cut up the car's frame and removed its engine. He made holes where the steering wheel was and slid reins through plastic tubes to attach them to his horse. "Now it's an Audi 40, as half of it is missing," he joked. The young farmer uses his invention to get to the collective farm where he works, looking after livestock for around 200 euros a month. He also uses it for working in the field, including for ploughing and seeding. "My colleagues could not believe it when I first arrived at work in a horse car," Usikov said. "They were surprised because you can play music in the car, the horn works and everything is well equipped." Usikov outfitted his car with a small coal stove. It is linked to a pipe on the roof that blows out smoke and keeps him warm in winter. 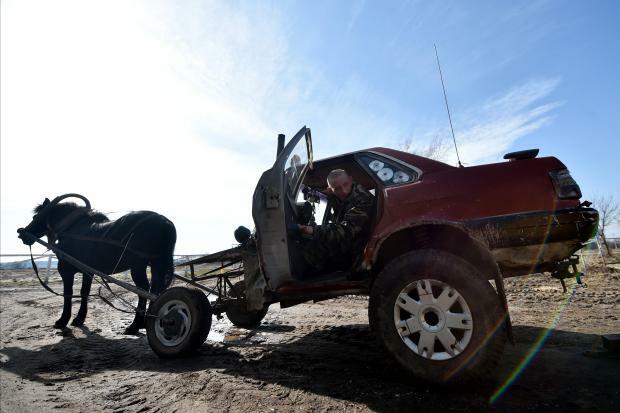 The "horse-mobile" has made Usikov famous among villagers. "There are not many young people today who can do that," said a local saleswoman. "It's the 21st century when there are computers and phones, but he's trying to keep up the traditions of the old days." At first traffic police were not sure how to respond. Once a bewildered policeman stopped the vehicle and called his boss. His chief praised Usikov's creative spirit. "Well done," he said. "Wish him a safe trip."